Mineral oil is the product we get after refining crude oil. During distillation, many ingredients are separated from petroleum and then these extracts are treated to make mineral oil. 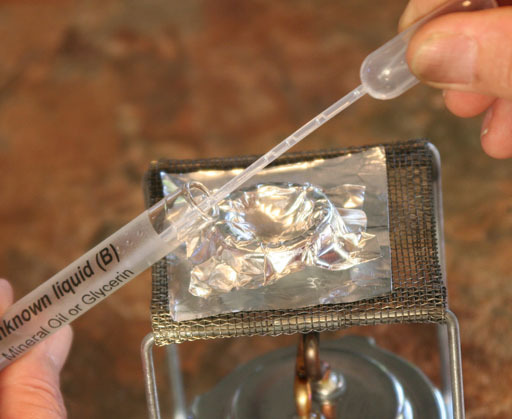 There are several techniques to get mineral oil out of crude oil but solvent extraction, solvent dewaxing and hydrogenation are the most followed methods currently used. Mineral oil, also recognised as liquid petroleum, is of different types such as naphthenic, paraffinic and aromatic oil. This transparent liquid is also used for medical purposes and it has been declared clear and safe for human consumption. Mineral oil is also made through acid treatment of crude oil extracts. In this method, the distillate is treated with fuming sulphuric acid and then professional engineers remove strong acid waste by neutralising with a clay treatment. This process of purification is called contact finishing and it is very difficult to carry out but still a decent number of professionals opt for this method to clear out all the impurities from mineral oil. Another effective and relatively easy method to make mineral oil is hydrogenation. In this technique, the crude oil extract is treated with hydrogen in the beginning. Meanwhile, the sulphur-resistant catalyst helps to form hydrogenated oil. After going through this process, the product is treated again with hydrogen but this time with a second catalyst. Finally, this second refining process form crystal clear mineral oil. Though, solvent dewaxing is not cost effective but still professionals employ this method to make mineral oil. This process includes the removal of wax from the raw product. At first, they combine the extract of crude oil with a solvent and then this mixture is chilled to detach the wax. In the next step, they obtain solvent from wax. Mostly, toluene and methyl ethyl ketone are used as solvents in this method. Through this method, crude oil is refined to get mineral oil and other products. Fractional distillation categorises all the by-products on the basis of boiling points. However, the mineral oil obtained through this process carries impurities like sulphur, nitrogen, oxygen and inorganic salts. Basically, this method is second step of fractional distillation. It is an alternative method to remove all the impurities from mineral oil. There are two ways to refine the crude oil extracts, precipitation and dissolving. Dissolving is a process in which the liquid petroleum is washed whereas precipitation involves addition of different solvents and a heating process.